In the last few years, 21st century skills have started to appear as an integral part of the content of many international ELT courses for young adults and adults. This follows a global trend to introduce 21st century skills into broader school and university education systems around the world. As a result of this, teachers I have met on my various projects around the world have been confronted with ‘new’ content and arguably new approaches to classroom delivery too, and this, quite understandably, can cause some anxiety. When I was at school, I remember the ‘A’ Level Mathematics classes being split into Pure Maths and Applied Maths. I understood neither of them and continue in that way now, but I do see 21st century skills integration as a key part of developing ‘Applied ELT’. These skills will indeed be part of the future of many of the young adults that we are teaching now, and feeling confident with them and with the English that facilitates them can help to support their further studies and job opportunities. 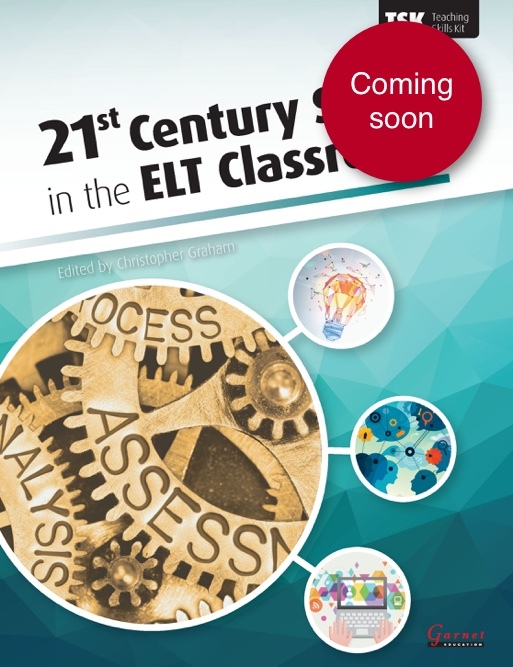 This book has been developed to provide users with a backdrop to 21st century skills in general and in ELT specifically, as well as a detailed look at each of the key skills areas and how they can be integrated into classes at a very practical level. The book also looks at some of the challenges around this integration and explores possible ways of managing these challenges to ensure that learners get the best possible exposure to these key skills and the language that goes with them. And that linkage to language is one of the keys to the integration of 21st century skills with ELT. For example, collaborative working can generate a useful range of functional language, while communication can benefit from, for instance, effective use of the passive to reduce personal references in interactions. 21st century skills are more than just content, as they can be embedded closely with our approach to teaching English. The encouragement of collaborative working, problem solving and the development of learner autonomy are all elements of 21st century skills, yet also part of the toolkit of an effective EFL teacher. This is a useful symmetry and an opportunity for us to demonstrate 21st century skills in our day-to-day teaching. Helen Soulé (formerly executive director of P21, the Partnership for 21st Century Learning). I am Adel Mansour, a Libyan teacher of English and now I am living in Coventry for few weeks. I will be honoured to go for your talk Liverpool and I wish I could meet you in person.